The report offers a view of the nano applications and products people think are most important, examines who Americans trust most to manage nanotechnology a? 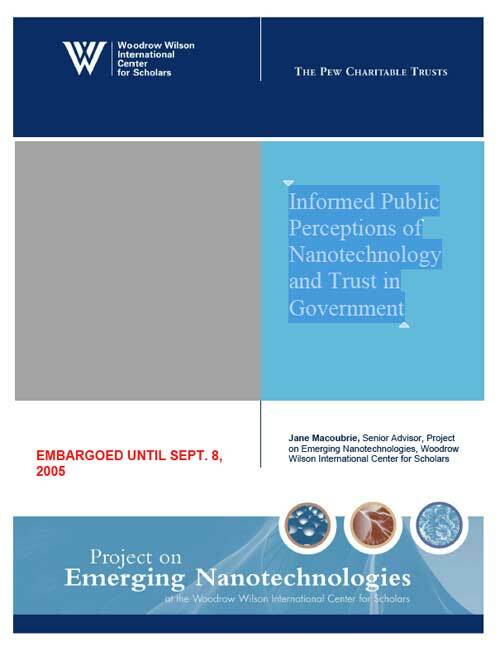 ?s potential risks and highlights concerns about nanotechnologyâ? ?s use. It is based on a series of representative experimental issues groups held this summer in three U.S. cities â?? Cleveland, Dallas and Spokane.